Phuket is the largest and most popular island in Thailand. 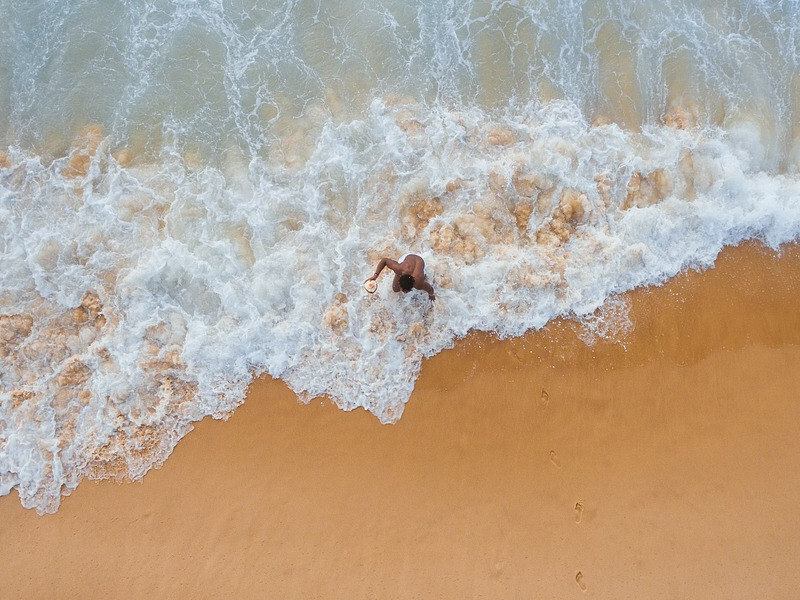 Located at the country’s southern tip, along the Andaman Sea, Phuket is home to some of the most exquisite beaches with buttermilk sand and picturesque, turquoise waters. One thing is for sure, you’ll never run out of things to do in Phuket. We’ve curated a list of the top activities to do on this popular island. From island hopping to Thai cooking classes, find out what are the best things to do in Phuket! Many tourists use Phuket as a base for island hopping in Thailand. This way you can see as many amazing islands as you desire and you can spend a night on each or live aboard a dive boat. 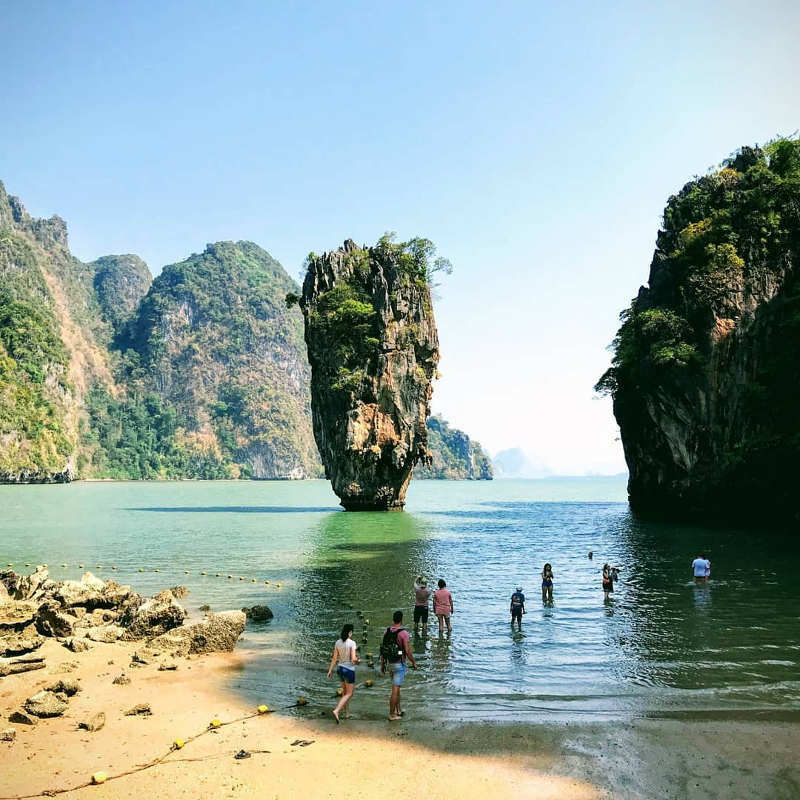 Enjoy a full day (or more) as you ferry from one island to another that usually includes the picture-perfect Phi Phi, Koh Khai, Similan and James Bond Island (Phang Nga Bay), and many more. Get lost in the Thai markets which can be both exciting and therapeutic. Here you’ll get to use your bargaining skills and purchase some things you didn’t even know you needed. Thailand has many well-renowned markets such as Naka Market, Chillva Market and Malin Plaza. Go hungry to the market so that you have room to enjoy all the delicious food, from fresh fruit kebabs and Phad Thai to skewered scorpions. 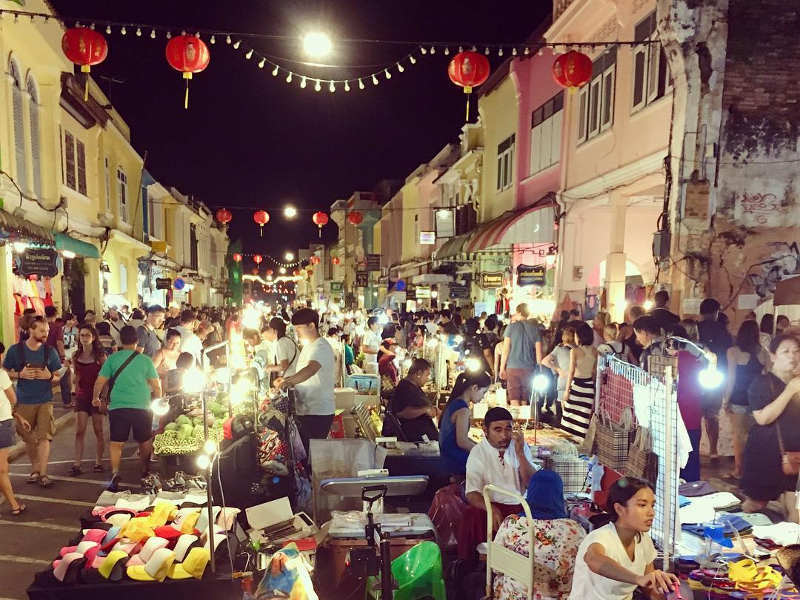 The night markets have a special charm as the heat of the day cools down and the busy trading is accompanied by street performances and music. Explore the Thai-Buddhist culture by visiting the architecturally and spiritually beautiful temples. There are around 40 Buddhist temples in Phuket. Known as “wat” in Thai, these beautiful temples will bring you closer to the humble teachings of Buddhism and understanding the island life. A visit to the various temples should definitely be on your list of things to do in Phuket. 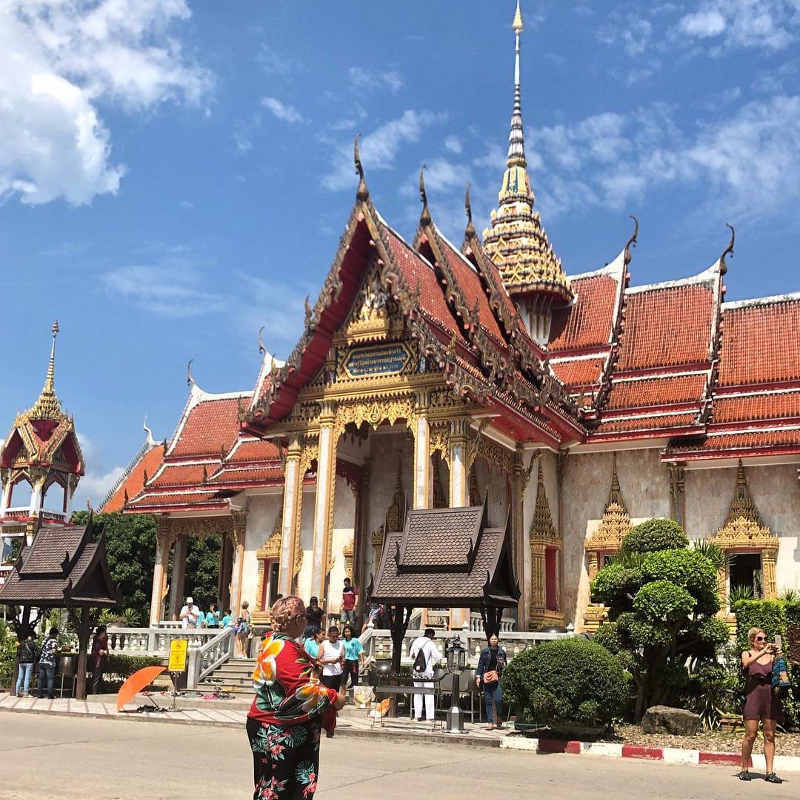 Temples worth a visit include Wat Chalong, Wat Suwan Khiri Khet, Wat Phranang Sang, and Wat Khao Rang. 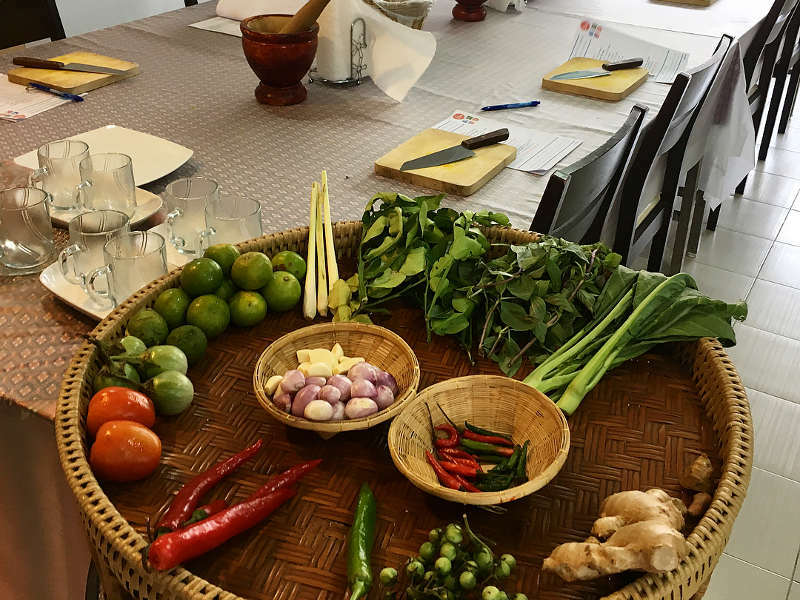 There are many different places to go in Phuket to learn the incredible art of Thai-style cooking. Prepare for a blissful time of aromatic fragrances. The fresh smells of ginger, garlic and coriander are sure to enhance your cooking class experience along with the dishes’ enticingly spicy edge. You’ll get to create the authentic Thai goodness. There are morning, afternoon and whole day classes available around the island. You can book through your hotel or find a restaurant that offers classes. After the fiery cooking, you will get to sit down and enjoy your own creations. 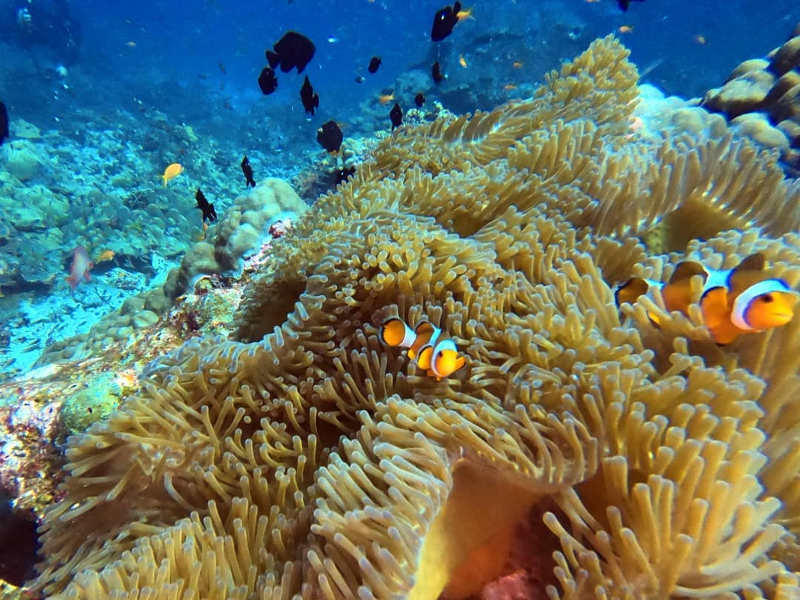 Curious to see the colourful coral and marine life in the tropical waters of Phuket? Then consider a diving tour. Explore the Andaman Sea and a small part of the Indian Ocean to the west of the island. Whether you’re a beginner or professional, you are sure to find the perfect dive spot along Phuket’s turquoise waters. Take in the stunning seascapes this part of Thailand has to offer. You’ll most likely get the best visibility during Phuket’s high season (November to February). Dive sites you should look out for include Anemome Reef, Koh Dok Mai, Shark Point, and East of Eden. The waters are home to surreal marine life such as whale sharks, manta rays, and black tip reef sharks. Phuket is well-known for its nightlife and rightfully so with its incredible features coming to light at night. 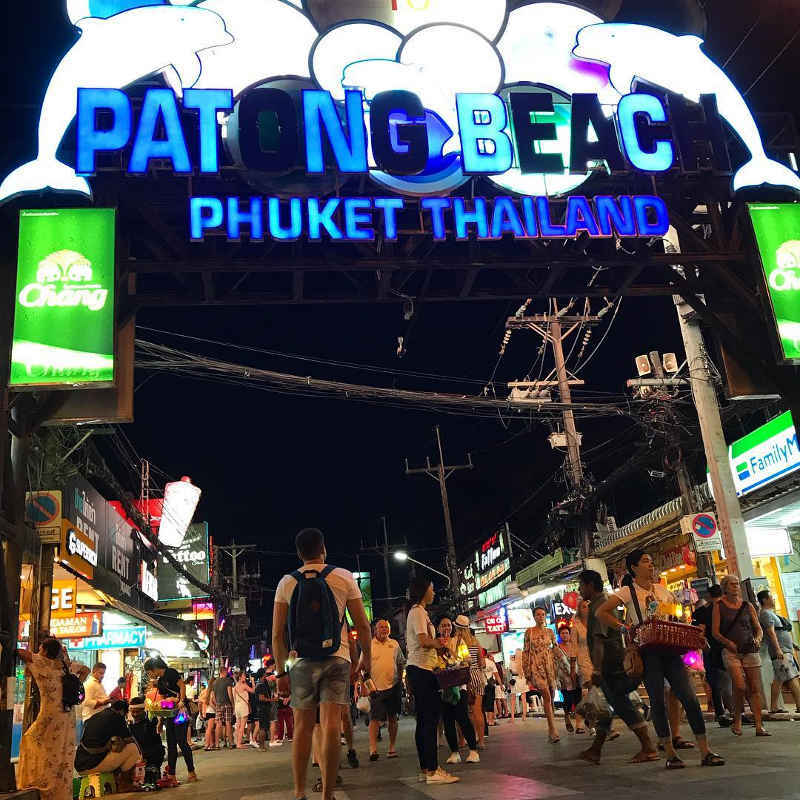 Head to Patong, where the excitement of the night time buzzes and continues until the early hours of the morning. The world-renowned Bangla Road is everything you imagine it to be. 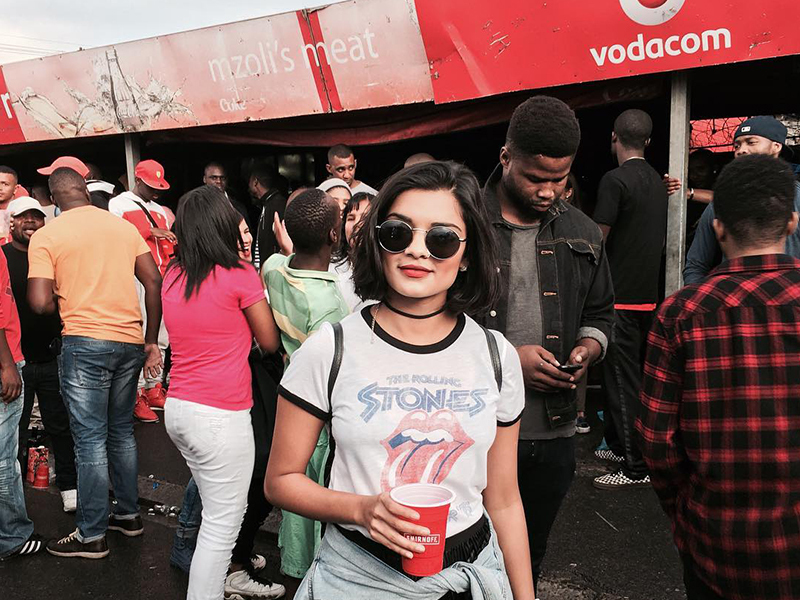 Explore the bright neon-lit street bars, loud music and cheap bars. 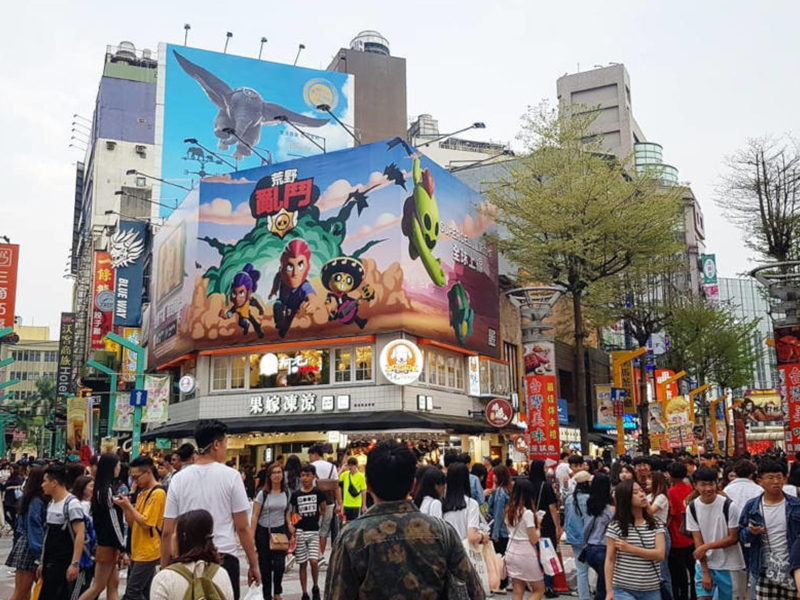 Most of the bars are outdoor, so you can grab a cold beer off the street, surrounded by the heaving crowds and music. Although the heart of Phuket’s nightlife centres around Bangla Road, it spreads out through the districts. Old Phuket Town: Its century-old architecture with a distinct European influence is made up of several ”sois” (small, narrow lanes) and five main roads, namely Rasada Road, Phang Nga Road and Krabi Road. Monkey Hill: Toh Sae Hill is referred to as Monkey Hill. 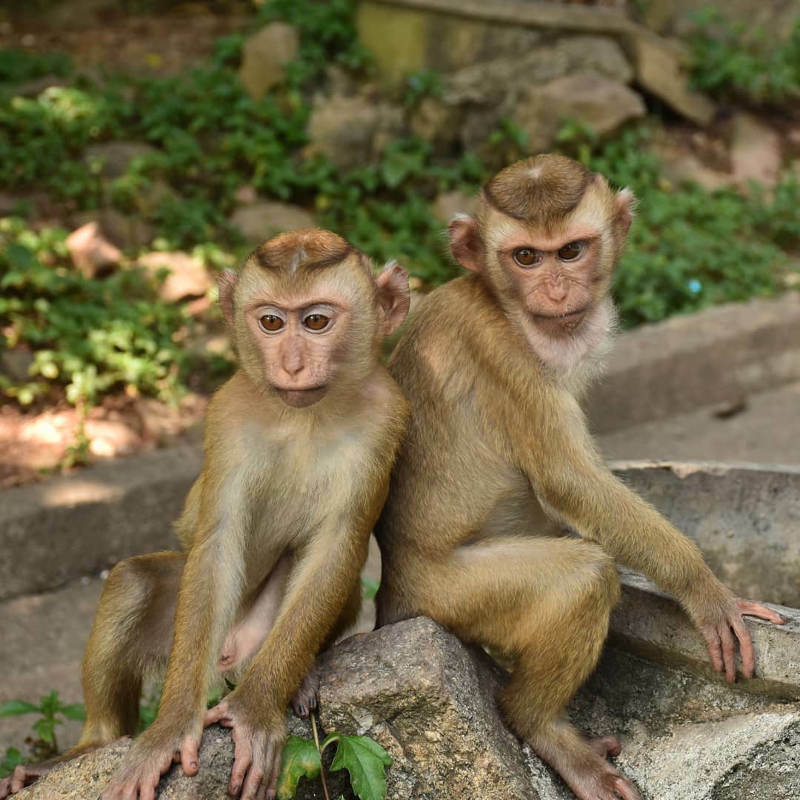 It is abuzz with a troupe of macaques. Locals religiously bring fruit to the monkeys every day. The Phuket Trickeye Museum: The first of its kind in Southern Thailand, this interactive museum is aimed at stimulating visitors’ imagination and creativity. Big Buddha: This is one of the most important landmarks in Phuket. It is a 45-metre tall white marble statue that can be seen from anywhere in the southern part of Phuket. For more charm, catch the sunset from this breathtaking attraction. 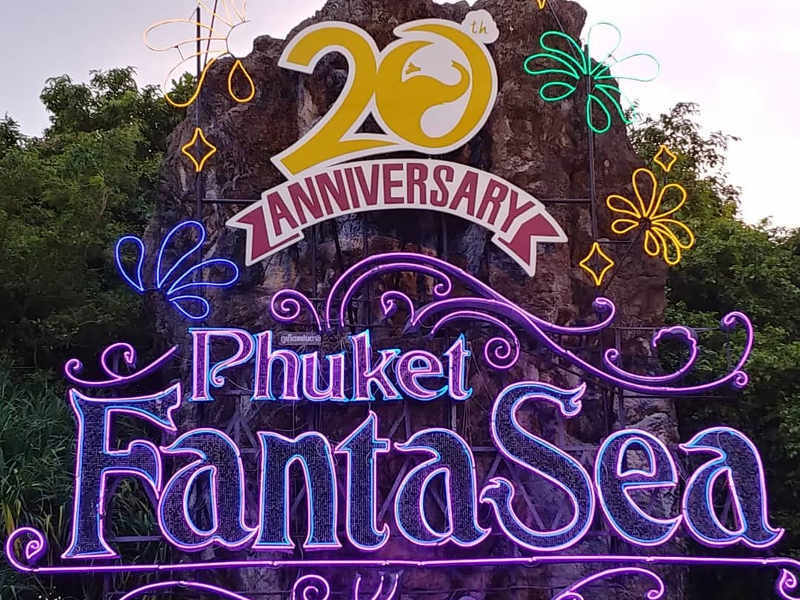 Phuket FantaSea is the island’s biggest show. This multi-faceted show is the first of its kind to present Thai culture and tradition as its main theme. Combining cutting edge technology with state-of-the-art show elements, FantaSea is an experience not to be missed! You’ll get to see acrobatics, animal and aerial performance, magic illusion and mind-blowing stunts. 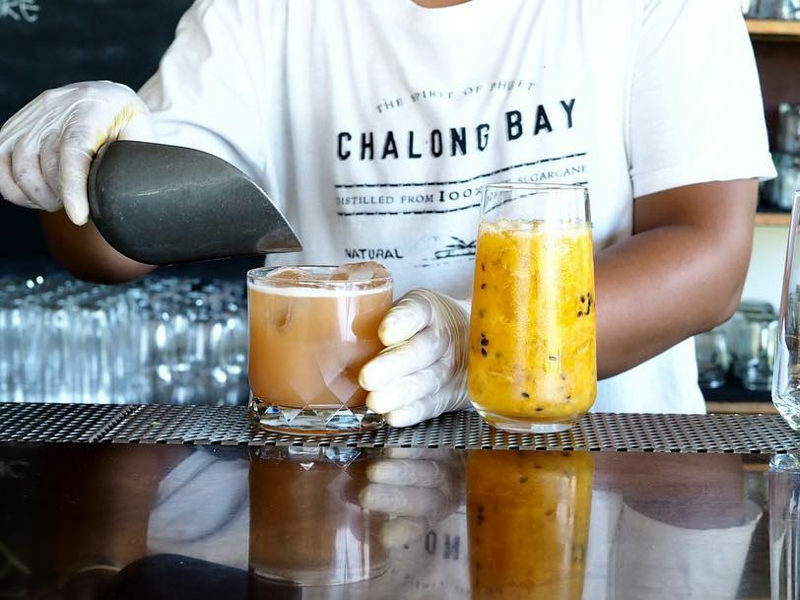 If you’re an avid lover of rum, Chalong Bay Rum Distillery is the place to go! It surely is one of the best things to do in Phuket. Get a taste of this high-end white rum which is beginning to gain world recognition. The tour begins with seeing how the rum is produced and seeing everything that happens behind the scenes at the distillery. You then proceed to the cocktail workshop and bar, where you’ll get to make various cocktails with Chalong Bay Rum. Located in a massive lush tropical jungle in the north of Phuket, the Phuket Elephant Sanctuary is home to rescued and retired elephants. 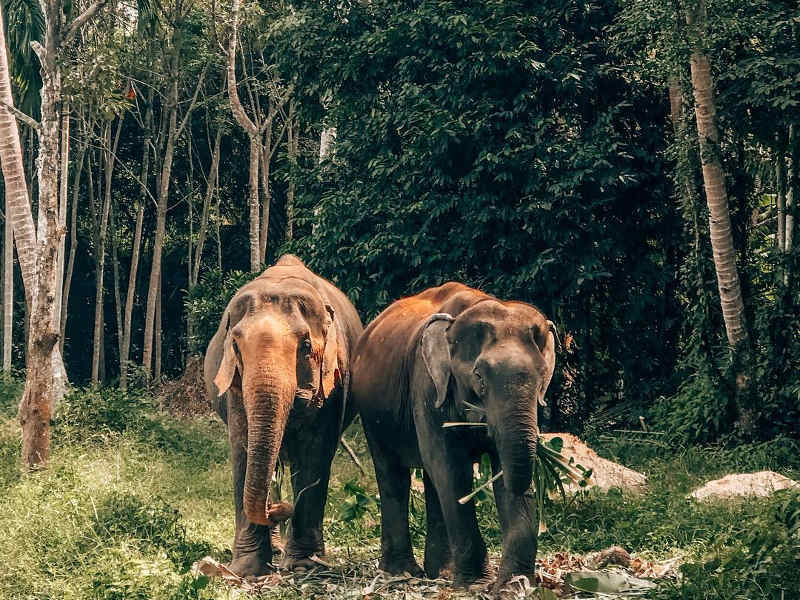 This incredible sanctuary aims to pioneer ethical elephant tourism through creating a space for retired elephants to live out their precious lives in a nurturing environment. Visitors can spend the morning or afternoon with the beautiful elephants and learn all about them. Make sure to book directly via the Phuket Elephant Sanctuary website. With all these exciting things to do in Phuket, we’re sure you’re itching to book your flight and jet off to this breathtaking island! 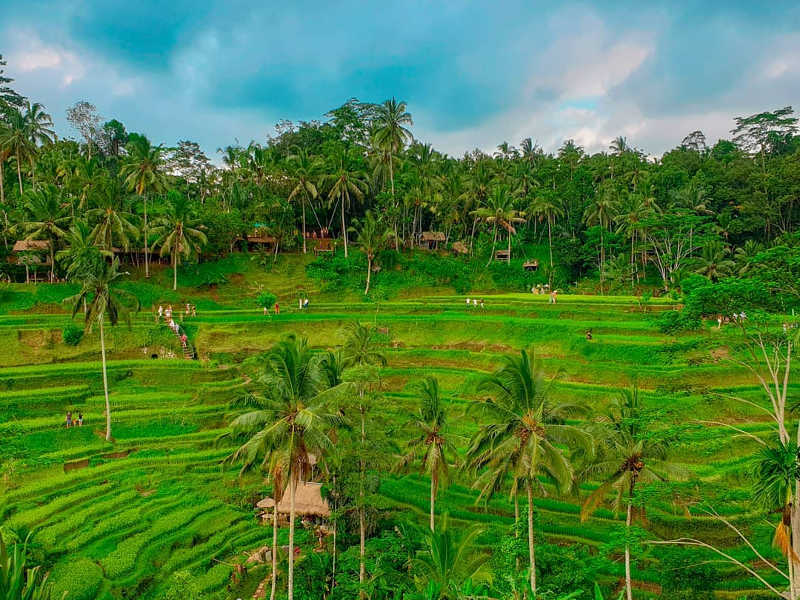 Compare and book your cheap flights to Phuket with Travelstart! Sign up to our newsletter and get the best flight specials to Phuket and other great destinations. Do you know of any more fun and interesting things to do in Phuket? Let us know in the comments below.